Brussels, 2 September 2015 – Good crashworthiness and improved availability of front crash prevention systems resulted in top ratings in latest round of Euro NCAP's tests ahead of the 2015 Frankfurt Motor Show. Out of nine new models released this month, seven earn the top rating of five stars and two earn a rating of four stars. The luxury SUV's Volvo XC90 and Audi Q7 went at it head-to-head. 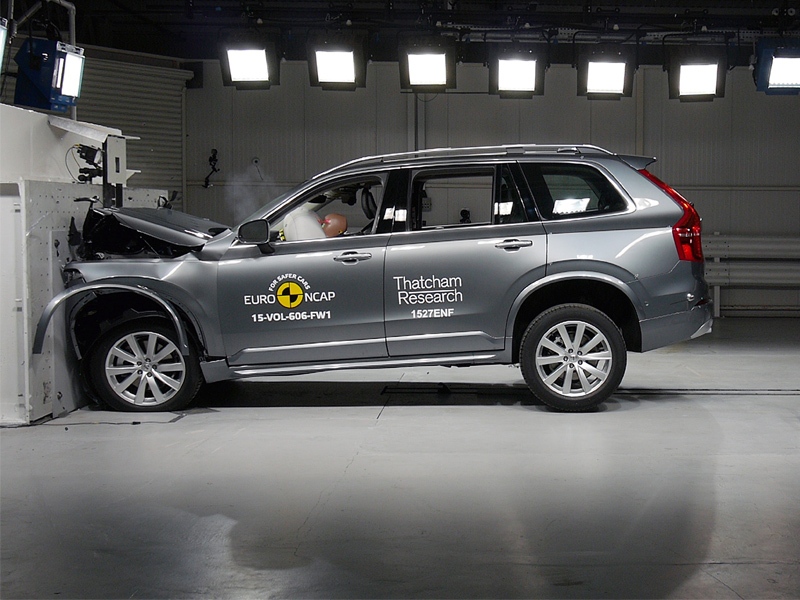 Both aced Euro NCAP's latest crashworthiness requirements, but it was the XC90 that made the biggest impression by earning full marks in the crash avoidance and driver assistance tests. The top ratings for the VW Touran and Ford's Galaxy and S-MAX MPV siblings are good news for families with kids, offering at least two rear seating positions compliant with the latest i-Size standard for child restraints as standard. The list of top achievers is completed with Renault Kadjar and the new Toyota Avensis, both delivering an excellent safety performance across the board.